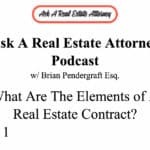 Most people understand the long-term implications of signing real estate contracts but they do not understand the legal language. 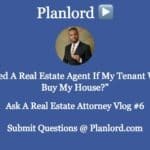 It is paramount to have an experienced lawyer review or prepare your real estate contracts that looks out for your interest. TPF’s real estate contract preparation and review services can help you protect your interest at an affordable rate. 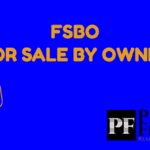 FSBO – For Sale By Owner – The benefits of a for sale by owner transaction is that it can save both the buyer and seller thousands of dollars in commission fees, but there is a risk to both parties especially if they do not understand the legal requirements of what is required under Maryland law. 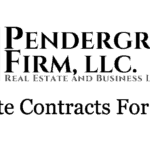 TPF help’s buyers and sellers prepare or modify contracts to protect their interest. Working With Your Real Estate Agent – If you choose to work with a real estate agent then we can work with you and your agent to provide legal advice and add addendums to your real estate agent’s standard contract to protect your interest. Commercial Leases – TPF represents both commercial landlords and tenants in the preparation or review of commercial leases for retail tenants, retail office space tenants, and shopping center tenants. 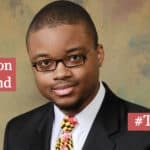 Residential Leases – TPF’s real estate contract preparation and review services include county specific leases for the lease of real estate. Commercial and Residential Purchase and Sale Agreements – We draft and review contracts for purchase or lease of real estate on behalf of buyers and sellers. Creative Financing – TPF also helps draft contracts for creative deals such as installment contracts, lease to own, and owner financing. We’re ready. Are you? We can also help you with real estate settlement services. 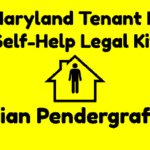 Partition of Land in Maryland – The Pendergraft Firm, LLC.